Breast Milk is best isn't it, so what if it's someone else's milk? We're all told breast milk is best, but does the breast have to be yours? The options are breastfeeding or formula for babies aren’t they? Actually, no. Imagine you have just given birth. Your baby is looking to you for milk and despite all your planning of a successful breastfeeding relationship, your body simply can’t provide the supply to meet the demand. For many mothers, the next choice is of course, formula. And there is absolutely nothing wrong with this decision. It is a perfectly good decision, and the perfect choice for many families. But, there is another option. We are forever being told the benefits of breast milk for babies. A simple google search on the topic will lead you to countless arguments of why breast is best, I won’t list them here. But does the milk that the breast comes from necessarily have to be yours? Across the world, wet nurses have been employed to feed the children of another mother for millions of years. In so many cultures, feeding another woman’s child with your own breast milk was common place, and still is. Today however, mothers who wish to feed their children breast milk, and are personally not able to, are seeking the donations of others. For a lot of mothers, the breastfeeding relationship doesn’t always happen as planned. Therefore, mothers wishing to use breast milk and who cannot express it themselves, rely on the donations of other lactating mums. While breast milk banks are present overseas, the option here in NSW is for mothers to make contact with each other in the cyber world and arrange a transfer of donated breast milk. This is not without risk. Meeting someone online and arranging to accept breast milk is taking a gamble. Especially if you don’t know the mother donating it. Mothers that still wish to give their babies breast milk are looking elsewhere. You often won’t have knowledge of the diet of the donor , and if you do have information on medications and nutrition its usually a case of trusting what the person is telling you is true, unless the donor is willing to provide blood test results to the recipient. It must also be said here that feeding a baby anything but the milk of its mother carries its own risks so this is not a unique situation. Formula too, has the potential for contamination. But for the parents wishing to access human milk for their children, the benefits of donor milk far outweigh any possible risks. When I first heard about breast milk donation, I thought, “There is no way I would feed my child the milk of another person.” I was a little grossed out by it and it didn’t sit right. And it was mainly to do with the above reasons. But think of it this way, for many mothers this is not a choice. 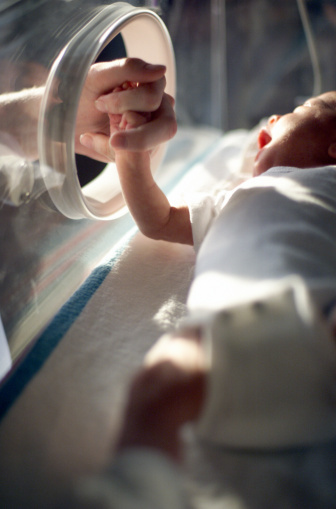 A lot of premature babies are simply unable to tolerate formula. Their tiny, immature stomachs are just not up to the harshness of a manufactured product and there fore breast milk is the best and sometimes the only option. And premmie milk is different to newborn milk so supplies can often be hard to come by. But what happens if the mothers of these babies are unable to produce the required milk? This could be due to lack of supply, medication or illness. Whatever the reason, baby still needs nutrition. Babies in the NICU often can’t tolerate anything but breast milk. Having done some more research into the area, it seems breast milk donation carries a lot of benefits and I’m coming around to it. Actually no, I’m supportive of it. As well as mothers who suffer supply issues, parents who have adopted are able to provide breast milk to their child if they wish, mothers undergoing chemotherapy or taking medication which can transmit through breast milk can choose to still nourish their child with human milk and often, donors are left feeling positive in the news that they have helped another woman nourish her child in the way she desires. So for me, seeing that women are turning online to seek out donor breast milk, has highlighted the need for government funded breast milk banks to once again become an option. Sourcing nourishment for your child shouldn’t be something done in secret via Facebook groups, but rather provided openly to parents who wish to access it through a regulated centre which enables donated milk to be collected, sterilised and stored properly. By screening the milk effectively, parents who wish to use donated milk would feel confident knowing that the food they are giving their child is free from transmittable disease and bacteria, and donors would be able to give freely without having to post in Facebook groups. The most natural source of nutrition for a baby is human milk. Human milk for human babies. And it’s nice to know that even a parent who can’t produce milk themselves can still choose breast milk for their child. What do you think? Would you ever use donor milk to feed your baby? 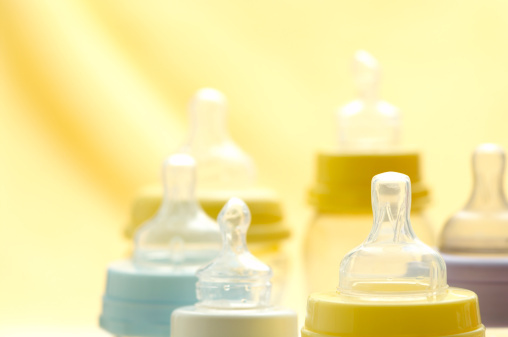 Do you think Breast milk banks should be available to parents? This is what mornings look like in my house. My husband is in love with another girl.